Nava – medieval Greek nava (plural NAVES) – Latin navis – indian (root) * néh2us: A large three-mast commercial sailboat with square sailing, with a boom in the “metzana” (aft mast) and four jibs. The length of these vessels reached 50 meters, while the displacement was between 500 and 800 tonnes. It was handy and fast and the it was widly used by Greek ship-owners. It had 11 to 12 openings on each side. The small VAVA is called NAVETA. Naves was a relatively widespread type of ship between the Ionian and the Aegean sea in the 18th and early 19th centuries. In Hermoupolis, a Nava was build the name nava (e) “Corneliya”, 556 tons. 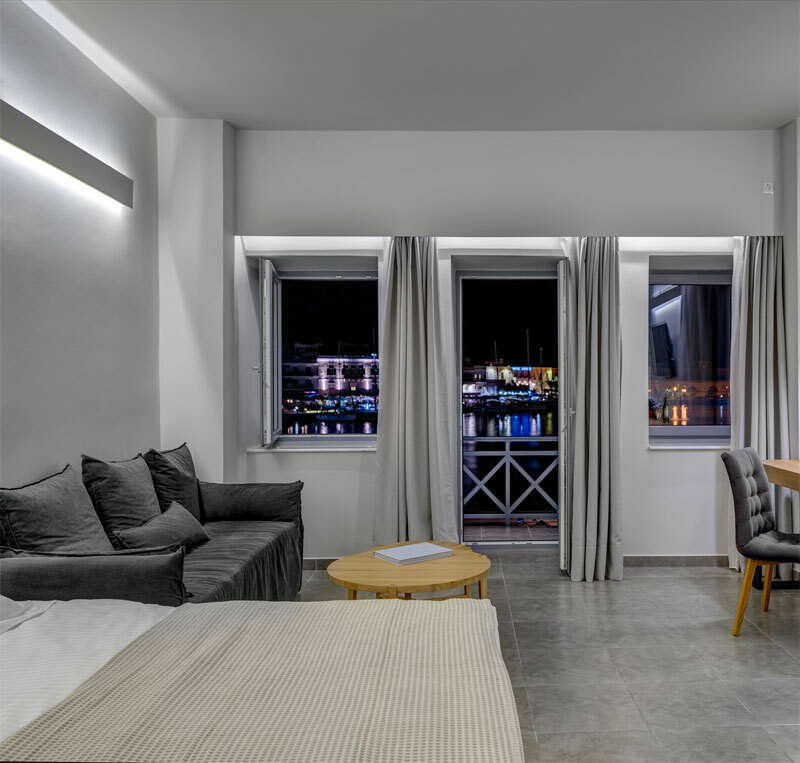 Our suites were named Naves as the naves, traveling from the East to the West and vice versa, approached the sheltered and welcoming harbor of Hermoupolis, bringing visitors, foreign, fresh, new ideas, the “aura” of change and renewal. 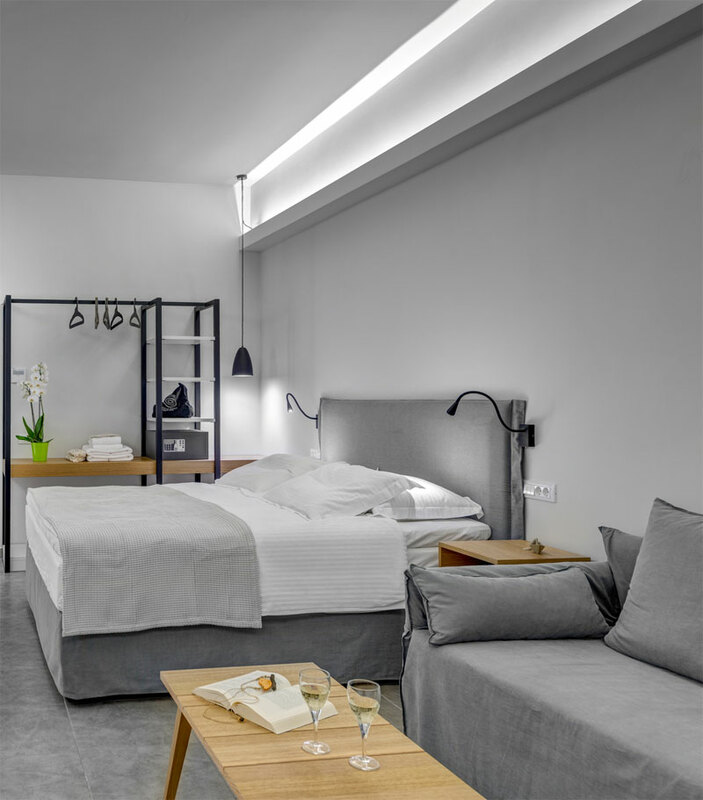 Our suites reflect in a unique and unusual way the hospitality, the liveliness and the warmth that the port of Hermoupolis offered to naves that approached it. 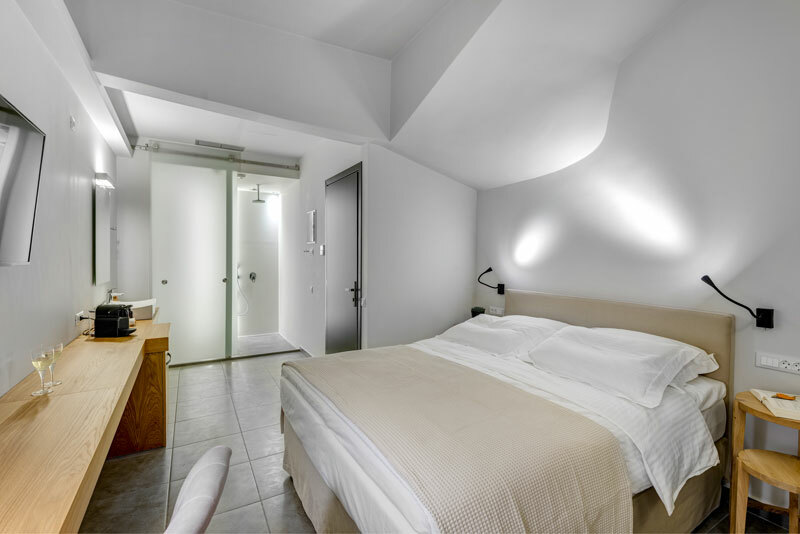 A wonderful combination of history, location, elegance, comfort and hospitality combined to create a unique atmosphere and offer a stay with unforgettable experiences and memories. The disasters of Cydonia, Chios, Psara and Kasos (1821-24) led thousands of refugees to settle on the shore of the island of Syros. The city they created, Hermoupolis, was the most important economic center of the Greek kingdom until the 1860s. Hermoupolis, as a port, was a transit center between the eastern Mediterranean, the Black Sea and western Europe. At the same time, many sectors of the shipping industry evolved in Hermoupolis, which made Hermoupolis the major maritime center of the Aegean and the eastern Mediterranean. In particular, the port of Hermoupolis was the most important port of registry of the Greek kingdom, a charter center, a used sailboat market, a center of steam connections and mainly a shipbuilding and repair center of sailboats (since 1857 and steamboats).